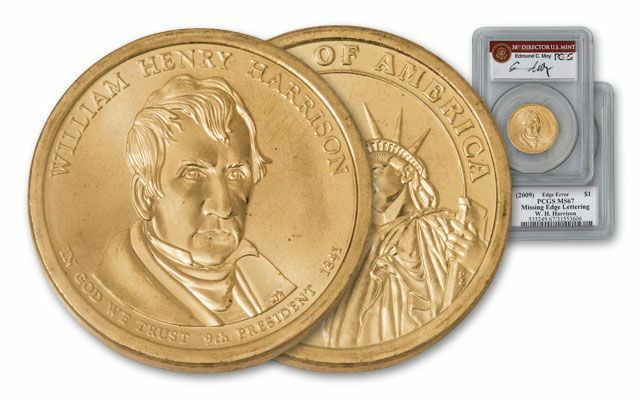 Super Grade 2009 Harrison Missing Edge Lettering Presidential Dollar Is Yours - If You Act Fast! 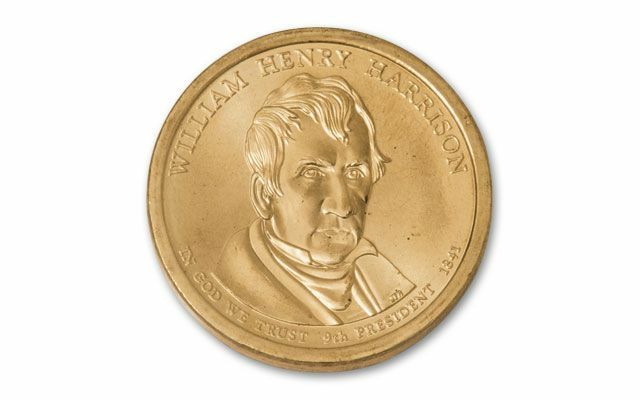 Three collector dreams come together in this 2008 Harrison Presidential Error. Not only is the coin a highly sought after mint error, it's also a super grade Mint State-67 (MS67) example certified by Professional Coin Grading Service and hand-signed by Mint Director Edmund Moy. 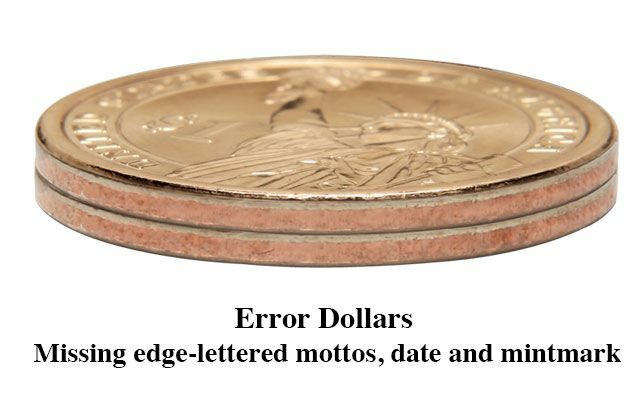 The U.S. Mint revised a decades old process of adding edge lettering when the Presidential Dollars were first struck in 2007. 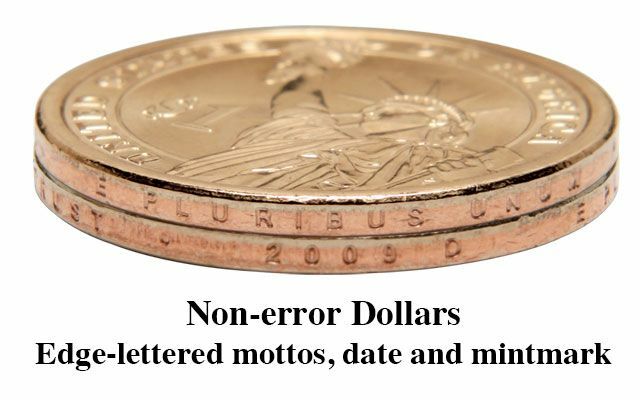 The edge lettering is supposed to contain the year, the mintmark and the motto "E Pluribus Unum". It mostly worked fine, but a small number of coins missing the edge lettering escaped the mint. 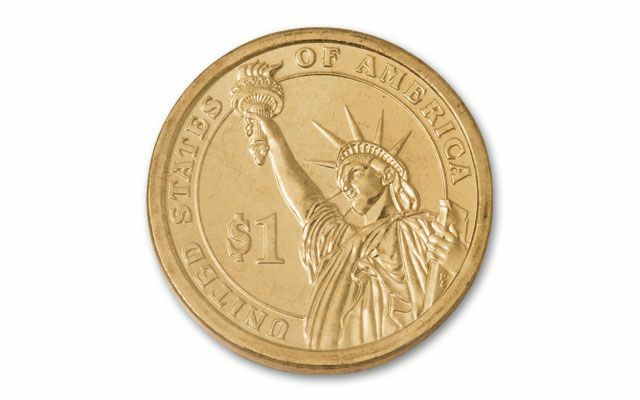 This 2009 Harrison Dollar is just such a coin. Harrison had been a congressman, a senator, and a general in the War of 1812. Returning to his farm in Ohio, Harrison lived in relative retirement, until he was nominated for the presidency in 1836. Defeated, he retired again to his farm. He was elected president in 1840, and died of pneumonia in April 1841, a month after taking office. 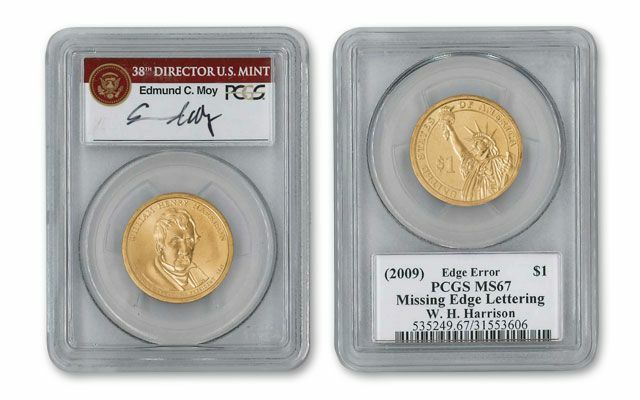 This 2009 Harrison Missing Edge Lettering Presidential Error Dollar grades PCGS Mint State-67 (MS67). It's rare to find such a scarce coin in such a high grade. Add it to your collection before our small supply is gone!